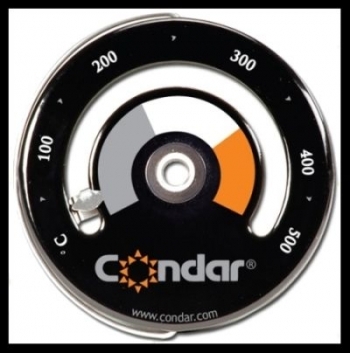 The Condar magnetic stove top thermometer can be sited either on the stove or on the fluepipe. The brightly coloured zones make it easy to see if your stove is running correctly. Stoves with vermiculite liners are particularly easy to over fire, so a thermometer will help you monitor the firebox temperature so avoiding overheating the stove and causing damage to either the stove casing, baffle bricks or flue.